The Uber of your childhood. Around town lying along the streets and sidewalks, there are electronic scooters and bikes that you are able to rent via an app on your phone. Multiple apps are available for Android products and iPhones to download depending on the brand of scooter or bike you choose to use. Despite the variety of choices available, there aren’t any notable differences between them—it all comes down to your personal preference.. 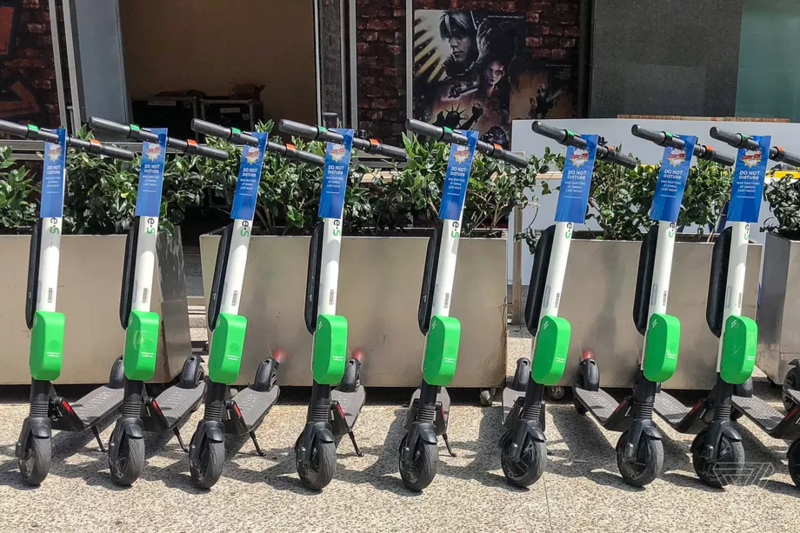 The only way to operate these scooters is through an app such as the Bird app for their line of scooters, and there are a handful of rules that are required to ride. All the scooter’s/bike’s apps are the same name as the brand of scooter/bike. Many of these rules simply follow common sense; for example, the rider must be over the age of 18 and is required to wear a helmet. Riders are also not allowed to ride on the sidewalk, and must stay in the bike lane on the road when they ride these scooters. Although these specific rules are often clear on the apps and put on the scooters, many ignore them for their own ease. People ride on the sidewalk zooming past people, many without helmets, and a sizable minority of users are under 18 years of age. The scooters can reach speeds up to 15 miles per hour, which can be quite fast for being on a scooter. The bikes can reach up to speeds of 20 miles per hour, and these speeds can be dangerous to ride, especially if you are not paying adequate attention to your surroundings or must make sudden stops. There are brakes on both, but even the slightest bit of force can slow the scooter/bike down can make them come to a complete stop. This can be both beneficial and harmful because if you are about to run into something or a person/car suddenly pops into your path, then you are able to react quickly before injuring yourself or someone else. If you are just trying to slow down, but touch the brake too hard, then you could injure yourself by suddenly stopping while your body is still in motion. These are cheap alternatives to driving a car or even getting an Uber, and are much more exciting than walking or riding in a vehicle. Uber costs around two dollars for the booking fee while Bird costs one dollar, which is just to turn the scooter on. Uber’s charge by the mile, and Bird’s charge by the minute, which can change the price greatly based on traffic. There are a handful of Ubers that charge a per-minute wait time fee that has to be paid, but with these scooters and bikes you don’t have to pay for that because you are riding the scooter/bike as soon as you pay the booking fee price. These scooters are cheaper, and may also incite a bit of nostalgia when you ride a scooter or bike around your neighborhood or to the store. They can be found throughout the city, so if you need a cheap ride, then hop on a scooter/bike and enjoy returning to a piece of your childhood.